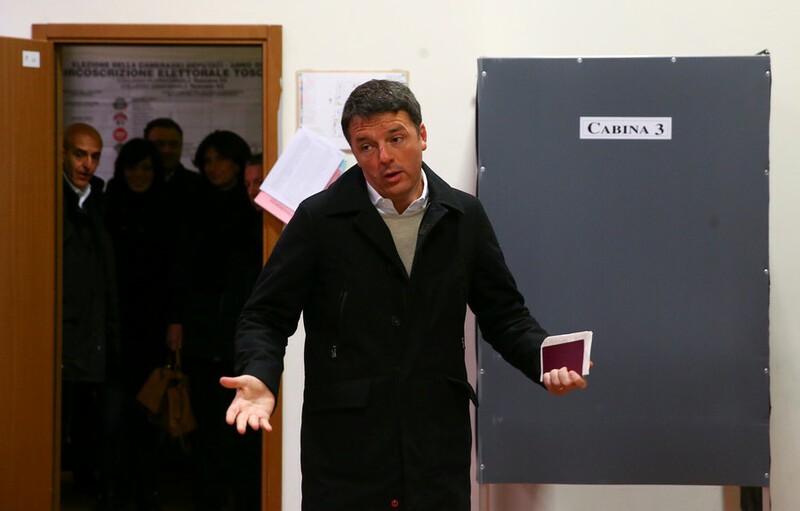 The Five-Star Movement has come out as the top individual party in Italy's election, while the anti-immigration Lega also outperformed expectations, early projections suggest. Pro-EU centrists suffered dramatic losses on Sunday. The SWG projections, which are compiled using a sample of votes, estimates the Euroskeptic, anti-corruption Five Star Movement attracted 34.1 percent of the votes for the Chamber of Deputies, and put Lega ahead of its coalition partner, the Silvio Berlusconi-led Forza Italia, with 17.3 against 14.1 percent. 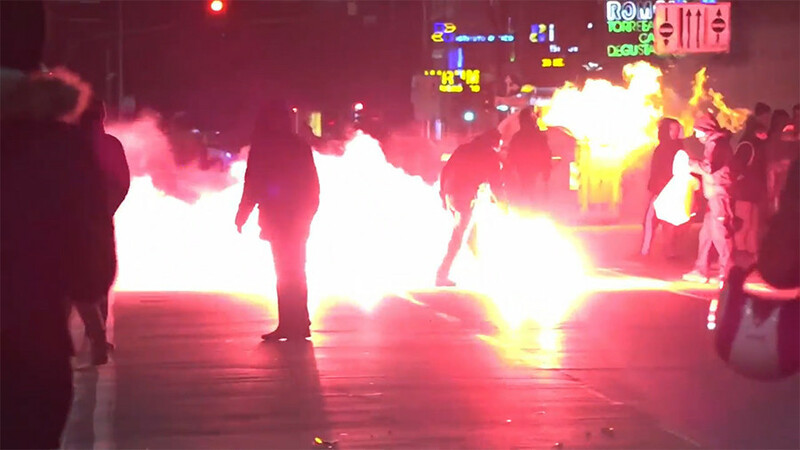 The current ruling center-left Democratic Party was predicted to gain 18.7 percent of the vote. 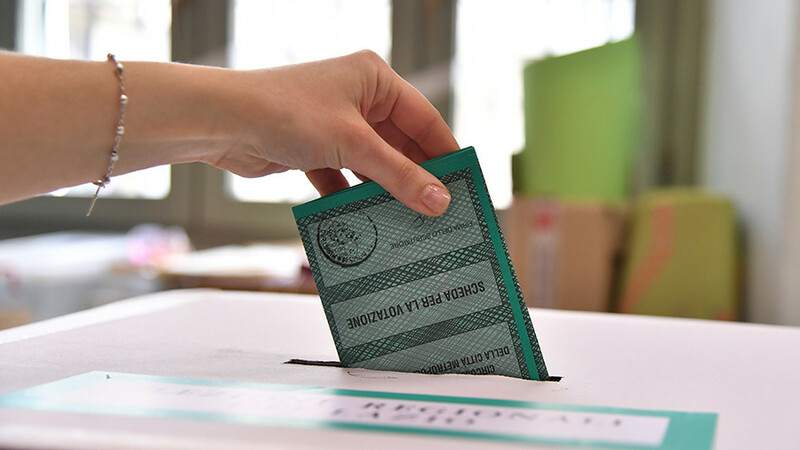 Official results for the election to the 630-member Chamber of Deputies, and the 320-seat Senate, which have identical powers, but are voted in by a different franchise and rules, are expected on Monday. 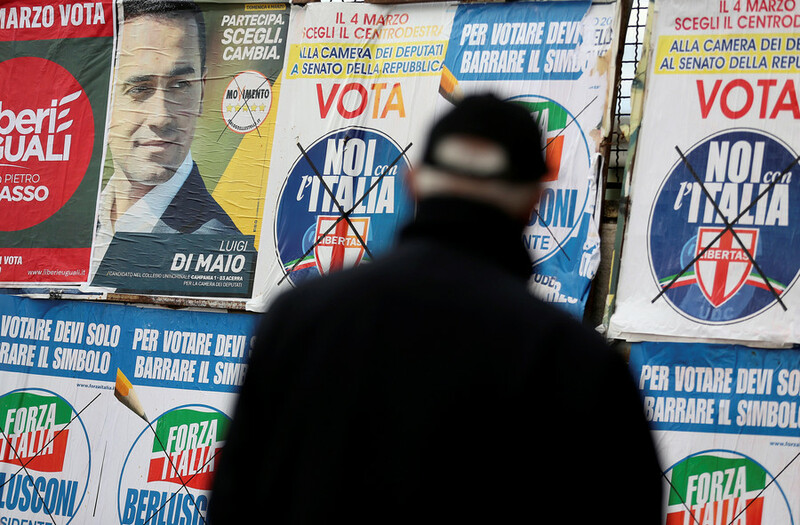 The final turnout of 73 percent is the lowest in Italy’s post-WWII history. With no parties large enough to form a majority, runners will likely seek to form a coalition. The Five-Star Movement, which caps a meteoric rise since its founding in 2009 by the comedian Beppe Grillo, has vowed that it will not join others in a coalition government, but could agree to a more flexible arrangement. 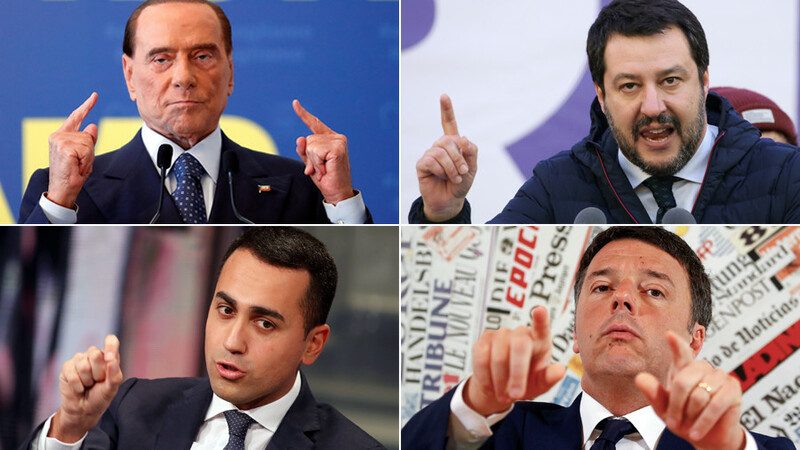 While the results mark a return to the national political scene of former prime minister Berlusconi, who is barred from taking office until next year after a tax fraud conviction, the overarching narrative is the decline of the main center-right and center-left parties. 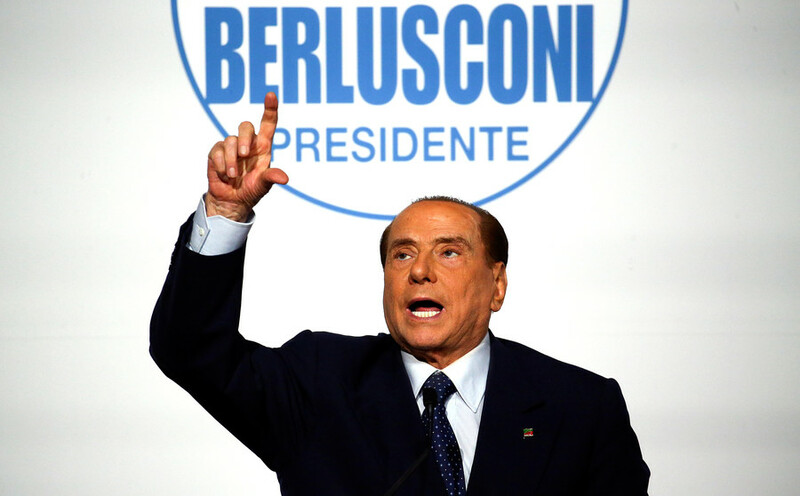 Berlusconi’s previous party attained 21 percent in the 2013 Chamber of Deputies vote, while the Democratic Party captured 25 percent of the ballots. Italy’s new star politician is undoubtedly 31-year-old Five-Star Movement leader Luigi Di Maio, a college dropout who was waiting tables a decade ago, but the outcome is also a coup for Lega leader Matteo Salvini, who has turned the former Lega Nord from a radical regional movement to a nationwide force. 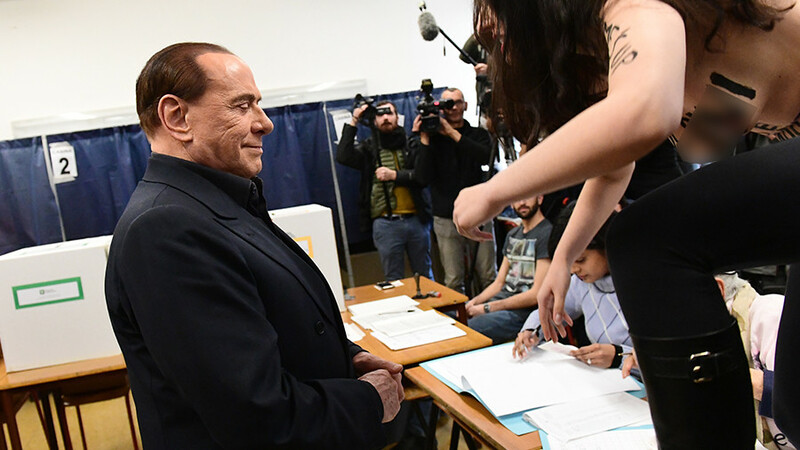 Their vote will beat the party’s previous high watermark of 10.8 percent during the 1996 election, while a Forza Italia official said that he would be the Center-Right's nominee for prime minister, if it is to form a government. Salvini posted a photo of himself smiling with the caption “THANK YOU!” on his Twitter account as the results rolled in. Though Five-Star Movement has said that “now is not the time” for an Italian referendum on Euro membership, which has been endorsed by Lega, these two parties and other smaller anti-Brussels factions will, for the first time ever, create a Euroskeptic majority in the Italian parliament. The primary reasons for resentment against the EU have been the flood of over 600,000 migrants, who have arrived in the country since 2014, and Italy’s continuing economic underperformance within an already-anemic Eurozone.